The Great Rift Valley is a natural wonder of the world, a geological trench, approximately 6,000 kilometers in length, that runs from northern Syria in Southwest Asia to central Mozambique in East Africa. 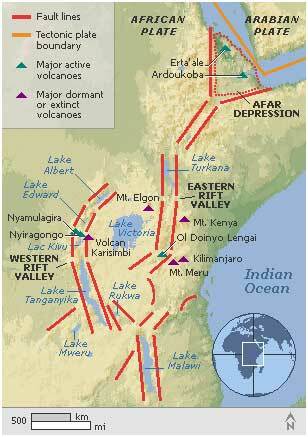 In eastern Africa, the valley divides into two, the Western Rift Valley and the Eastern Rift Valley. 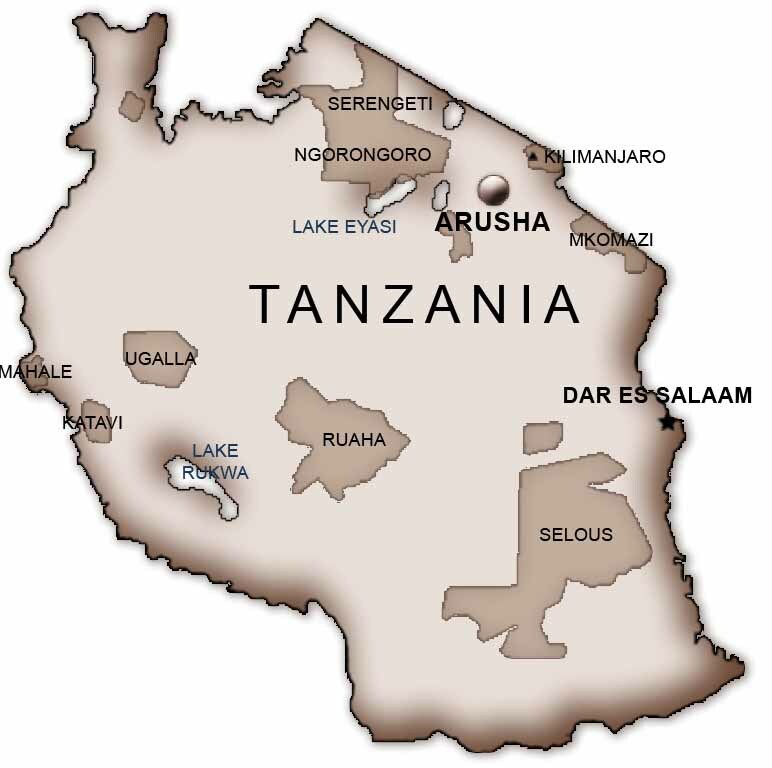 The Western Rift is edged by majestic mountains and contains the Rift Valley lakes, which include some of the deepest lakes in the world (up to 1,470 metres deep at Lake Tanganyika). Lake Victoria, the second largest area freshwater lake in the world, is considered part of the Rift Valley system although it actually lies between the two branches. All of the African Great Lakes were formed as the result of the rift, and most lie within it. The Eastern Rift features vast mineral lakes such as Lake Natron and is bordered by the highest mountain in Africa, Mount Kilimanjaro. It is also there that we find some remarkable Tanzanian Volcanoes such as the Ngorongoro, the Empakai, the Olmoti and the Lengai. The East Africa Rift Valley is a great example of how many natural systems can be intertwined - this unique geological setting may have altered the local climate which may have in turn caused our ancestors to develop the skills necessary to walk upright, develop culture and ponder how such a rift came to be. Just like the Grand Canyon, the East African Rift System should be high on any nature lovers list of geologic marvels to visit. Admire this Magical Location and its abundant lifestyle through a Great Rift Valley Safari with Corto Safari.